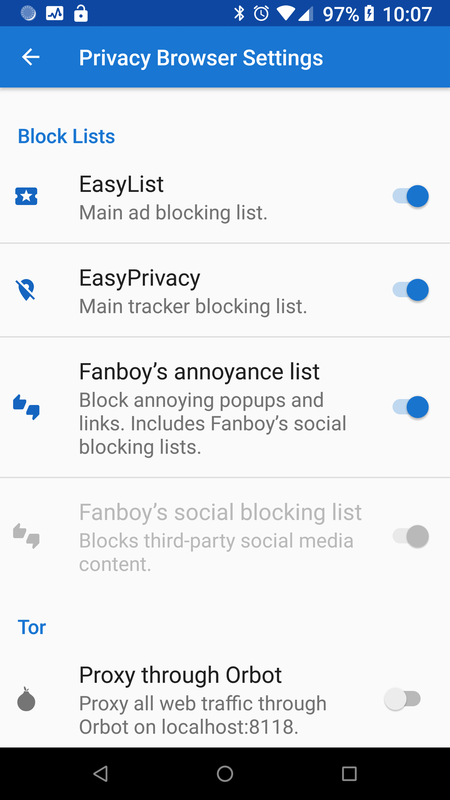 In the future, I am planning to add the option to manage the block lists in domain settings, see details about the resource requests that were blocked, allow users to update the block lists from EasyList directly without waiting for an update to Privacy Browser, allow users to load other block lists that use the Ad Block Plus format, and create a custom block list that overrides entries in the other block lists. 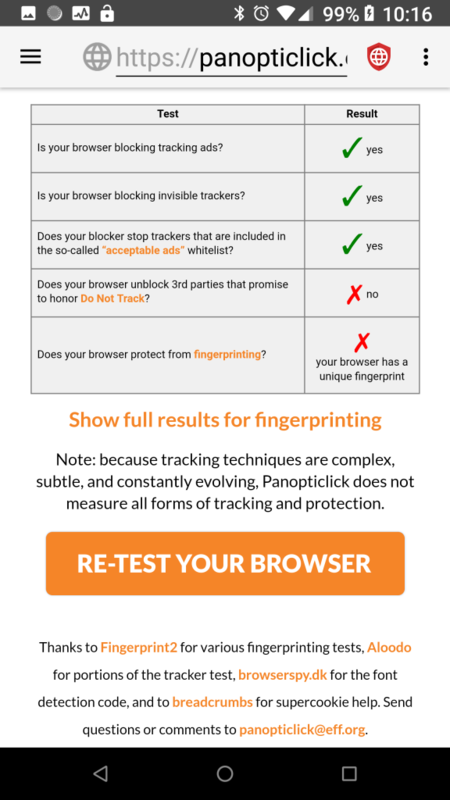 As part of Panopticlick, the EFF has a check for unblocking third-parties that promise to honor Do Not Track. I have written before about how I believe Do Not Track is privacy theater. 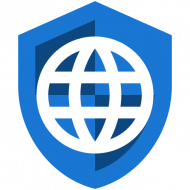 Instead of automatically unblocking websites that promise not to track users, I would rather that the users makes a conscious decision to unblock the website based on their personal trust of the organization that runs it. This will be possible with the upcoming controls to manage the block lists in domain settings and use a custom user block list. Part of what made integrating EasyList difficult was figuring out a way to do so that didn’t significantly degrade performance. For those who are interested, I have written an extensive description of how the block lists are parsed and processed. The performance takeaway is that on a Nexus 6P loading the block lists adds about 3 seconds to the launch time of Privacy Browser. This delay happens every time Privacy Browser is launched from scratch, like after selecting Clear and Exit or rebooting the device. 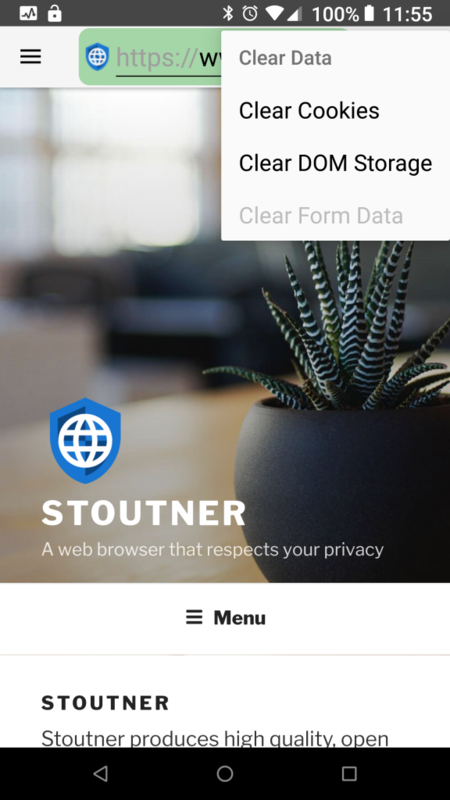 It doesn’t happen when switching between Privacy Browser and other apps. I do not consider this to be an acceptable delay, but I have not yet found a way around it. On the other hand, checking a resource request against the block lists only takes about 20-30 milliseconds, which meets my expectations and is fast enough to not be noticeable. There is also a new View Source activity. It is launched from the options menu. 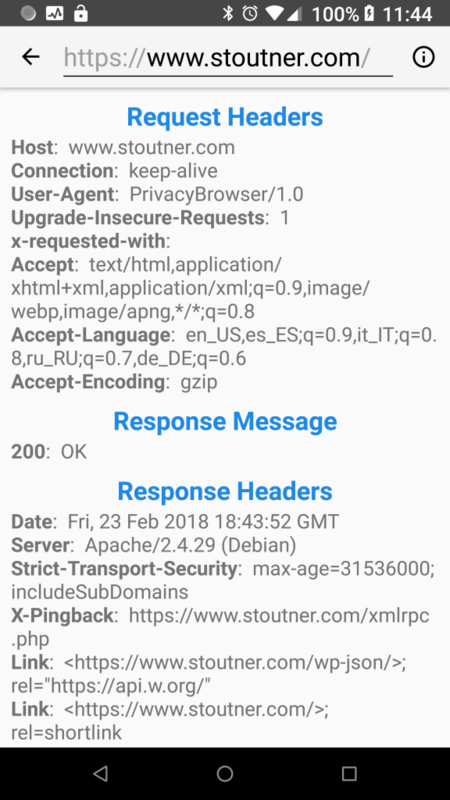 Android’s WebView makes it difficult to access this information, so for right now this is an imperfect implementation. 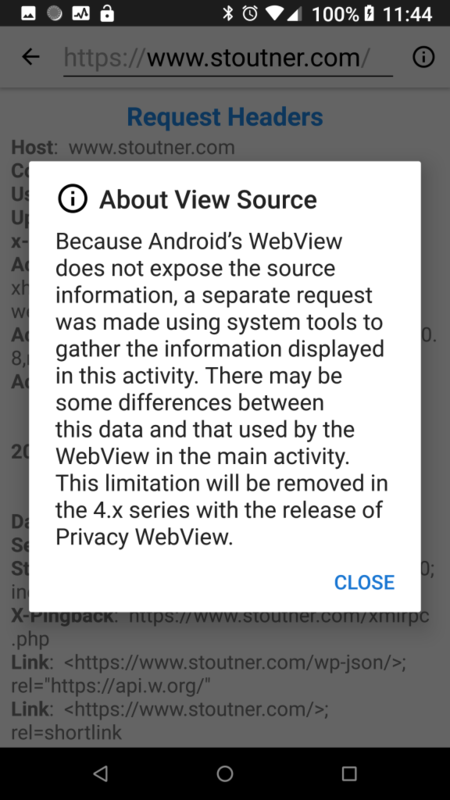 This should be resolved in the 4.x series with the release of Privacy WebView. The Clear Data options menu items have been moved to a submenu. The motivation for this change was that the options menu is getting full, the three clear data entries all relate to the same general action, and my guess is they are not used as often as some of the other entries. Instead, I think the majority of people use the Clear and Exit navigation menu entry. 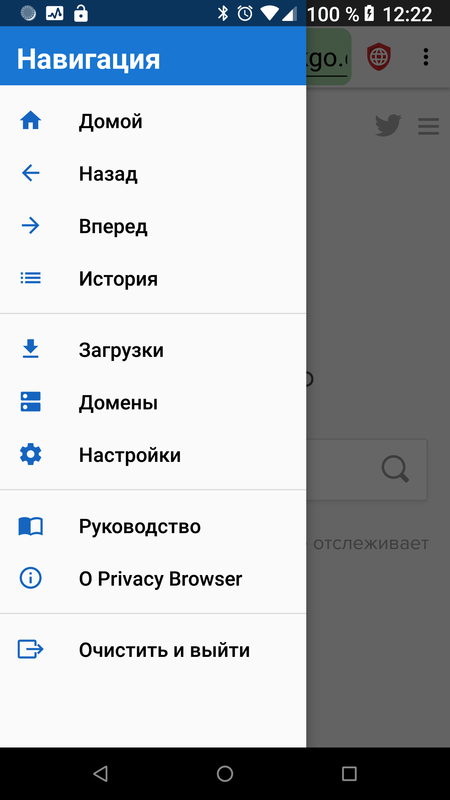 Privacy Browser now includes a partial Russian translation provided by someone who prefers to remain anonymous. The strings have all be translated. The Guide and About activities will be translated in a future release. This is the last release in the first half of the 2.x series. Beginning with Privacy Browser 2.9, permissions for reading and writing to external storage will be added. I anticipate that the next release will add controls for block lists to domain settings and make the default download location public.